We believe there’s no such thing as too many cooks in a kitchen! We always welcome new members and are constantly in need of volunteers, who help us to gather produce, prep the kitchen, cook delicious food and more. 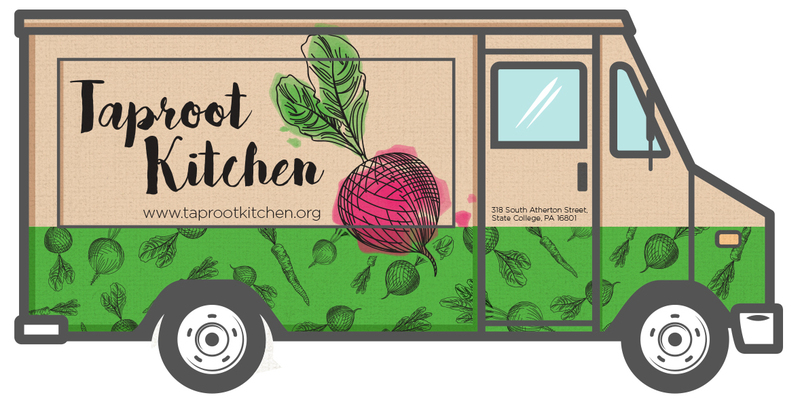 If you are interested in joining or volunteering, please email hello@taprootkitchen.org. Our members learn new techniques through unique partnerships with local chefs. By sharing culinary knowledge, chefs can help guide a new generation of hospitality workers and bring these adults into the local food community. If you are a chef who is interested in working with our members, please email hello@taprootkitchen.org. Much of the food we use to create our fabulous dishes is gleaning, often by our members themselves. Local farmers who allow us to come into their fields to gather what would otherwise go to waste both benefit from our labor and help us to feed others. If you are a farmer who is interested in donating food or having our team visit to glean, please email hello@taprootkitchen.org. As we grow, we would love to be able to reach out further into the community. A long-term goal is to buy a food truck that could take our food—and our message—the extra mile. Please donate to help us reach our goal!